Intex has launched yet another device in their Aqua Series after launch of Intex Aqua Style and Aqua Style Pro which are from the $100 or Above Rs. 5000 category and running on andorid Kitkat, whereas the latest launch which is the Intex 4x runs on Android Jellybean which also has a 4 inch display and it is said to be the Cheapest 4 inch Andorid device as it is priced at Rs. 2,999. 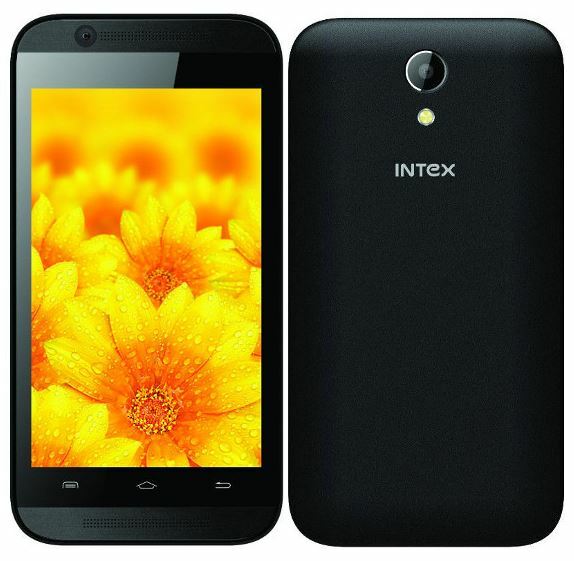 Intex is also going with the crowd and has launched this device for sale exclusively in Ebay.in. Intex also launced a simialry priced device which was sporting the latest Firefox OS and it was priced at Rs. 2,000 and the device was called Intex Cloud FX, Intex is surely trying to capture the budget market in India which we can see by the release of such devices in India which are targeting the budget category and the Rural areas. The Intex Aqua 4X comes with a 4 inch IPS OGS display which has a resolution of 800 x 480 pixels which is good for the price it is being offered. It comes with a 1GHz dual-core MediaTek MT6572 processor and runs on Android Jelly Bean 4.2 OS, it has 256MB of RAM and 512 MB internal memory with support for expansion upto 32GB using microSD card which is a must as there is hardly any internal memory left for the user – 14.4MB user memory, it has Dual SIM option and sports a 2MP Primary or Rear camera with LED Flash along with a 0.3MP front facing camera. It supports 3G, WiFi, Bluetooth and GPS which are really a great addition to a phone which is just Rs. 2,999 2MP rear camera with LED Flash, it supports 3.5mm audio jack, FM Radio the intex aqua 4x runs on a 1300mAh battery which is a bit low for a 4-inch display but at the price for which it is being offered this is more than a great deal for users who want android Jellybean device at the lowest cost along with a 4 inch display. Hi Vidhya you can buy COD. Contact me for more details. ye model market me kab aayega?